So to Le Mans 2014, my 29th Le Mans. As I begin to put pen to paper (and I mean that literally – the first draft is always done by hand with one of my collection of fountain pens – very old school! ), just over a week after returning from France, I have to urge myself through the annual post-Le Mans depression in order to get things under way. The fact is that as I wrote this, I was 'looking forward' to returning to work the next day - so didn’t help much! As is my custom these days, the first thing I do after the race is to write up a quick ‘diary’ of events, i.e. what we did and when and where we did it, all the while lamenting the fact that I didn’t make enough notes at the time and wondering what we actually did in some of those ‘lost’ hours which seemed to occur far too often during the course of the Le Mans week. But, once again, I’m getting ahead of myself…..
One of the truly great advantages for me over all bar three of my Le Mans trips has been that I’ve had the luxury of someone else to make all of the major arrangements for me. For many years that was Ian, the ‘Chief Tourist’, but these days it is James (aka Bentley03 from the Ten Tenths forum). James is my very own personal travel agent (which will probably be quite ironic to him! ), my ticket agency and, for much of the Le Mans week and a bit, he is my chauffeur as well. It is a truly wonderful thing to have such good and versatile friends! So, with pretty limited input from me, virtually everything was arranged by February. It’s quite easy when all you have to say is, ‘Same again, please!’ Ferries were booked, tickets ordered, hotels arranged and all that remained was for me to save some pennies in preparation. It is a fact of life I suppose that time never stands still and as you get older – I was 57 in May of this year – work just seems to get harder and harder. This year I had the added complication of a minor health issue to sort out. I had been ‘carrying’ an umbilical hernia for quite a few years which apart from any health aspects, had become a bit embarrassing and it had now reached the point where I had to do something about it. In the end, the timing worked against me, as my operation was delayed by a fortnight which meant that I was forced to sit out my annual trip to Silverstone for the WEC race on the Easter weekend, as it was too soon after the op for me to be able to run the risk of walking miles around the circuit. Having said that, although I was very disappointed to miss it and my weekend consuming copious amounts of curry in the company of James, Tony and others, I’m not sure that that I was so disappointed to miss Silverstone’s incredibly foul raceday weather as I watched the live stream from the comfort of my home! My operation was very successful but required four weeks of recuperation so I was only back to work for another four weeks before starting my Le Mans leave. Of much greater significance though was that by that time I was ‘home alone’! My wife Jayne had been offered a once in a lifetime opportunity to holiday with friends in Florida for a month and she left for the States just five days before I left for France. It was an opportunity just too good for her to pass up but it certainly made for a strange and rather solitary build-up to the 2014 Le Mans trip for me. The Le Mans team, aka Team DoT, would also be supplemented this year. In addition to James, Tony and myself, we would be joined by James’ Romanian friend Ramona Nane (hereafter known as ‘Nane’) and later in the week by our old friend Allon (AllonFS from Ten Tenths) who was returning to the great race for the first time since 2010. 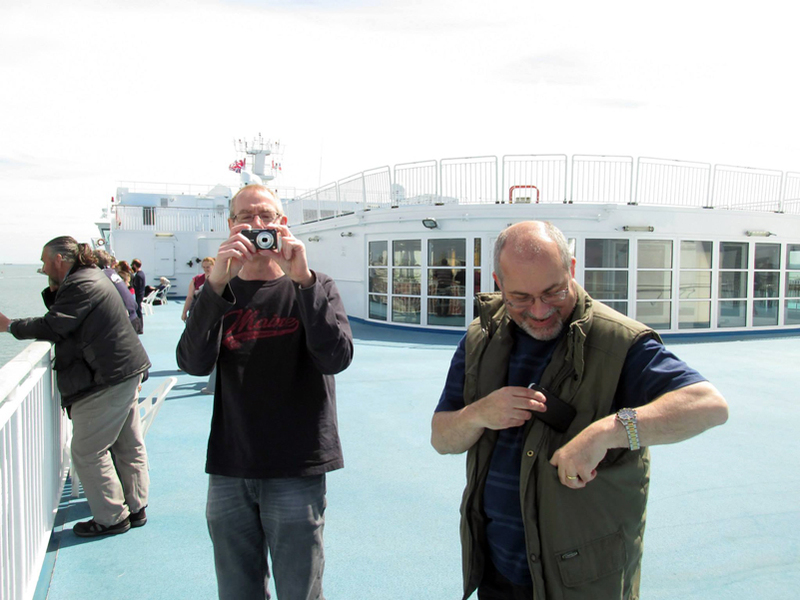 As we had for the past two years, we were travelling to France on the Saturday of the weekend preceding the race, on the 2.45 pm crossing from Portsmouth to Caen. 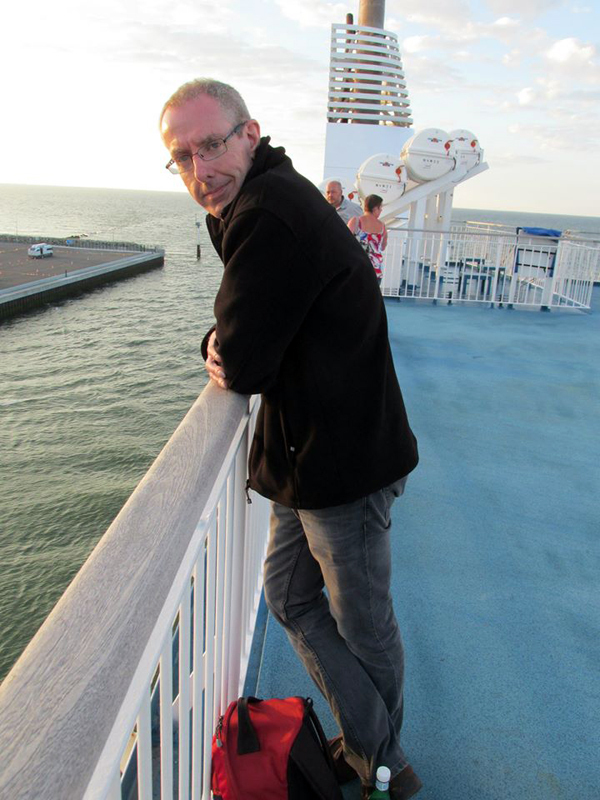 As neither of my sons could get me to Portsmouth (Toby was in Australia and James had to work), our friend Chris kindly offered to deliver me to the ferry port. We set off just after 11.30 am, as I always insist on allowing plenty of time for the traffic (which can be awful around Lyndhurst on a Saturday lunchtime), but we had no problems at all and arrived at Portsmouth at about 12.45. I was very early, having agreed to meet James in our usual spot at 1.30. Despite the traffic he encountered, James actually arrived early with Nane, at about 1.20. Having missed Silverstone this year, it had been virtually a full year since we last met and we exchanged the by now routine expressions of amazement that another whole year had passed and here we were, off to Le Mans again! We were soon booked in and on the move towards the ferry, the Mont St Michel, and after a fairly cursory inspection of Nane’s bag by the Border Agency staff, we were into the line ready to board and took our place on the ferry at around 2.20 pm. Unlike the ferries later in the week which would be packed with racegoers, not so many travel over as early as we do and the boat was possibly only a quarter full, if that. Bearing in mind the time, after finding the cabin which James had booked (a ‘choppy’ crossing had been predicted, although it turned out to be very smooth indeed), we headed up to the coffee bar for a drink, a very good baguette and a rather nice fruit pastry to finish it all off! 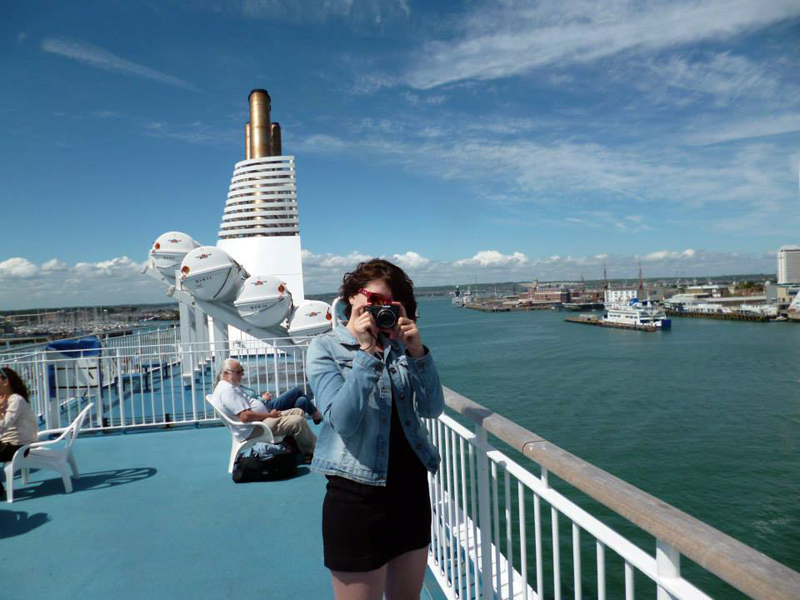 The ferry left on time and the journey to France began and while Nane went back to the cabin for a rest, James and I caught up with all of the news for both of us since much the same time last year. To quote a phrase I must have used far too many times before, the journey was pretty uneventful, apart from the fact that the weather was by now absolutely glorious and we could only hope that it would continue that way for another eight days! We docked at Caen (Ouistreham) bang on time at 9.30 pm and were very quickly off the boat and on the road. Unlike last year, we weren’t stopping locally in Caen, but instead we’d made the decision to split the journey to Le Mans by travelling down to Argentan, which would leave us with a relatively short journey of just an hour or so on to Le Mans in the morning. 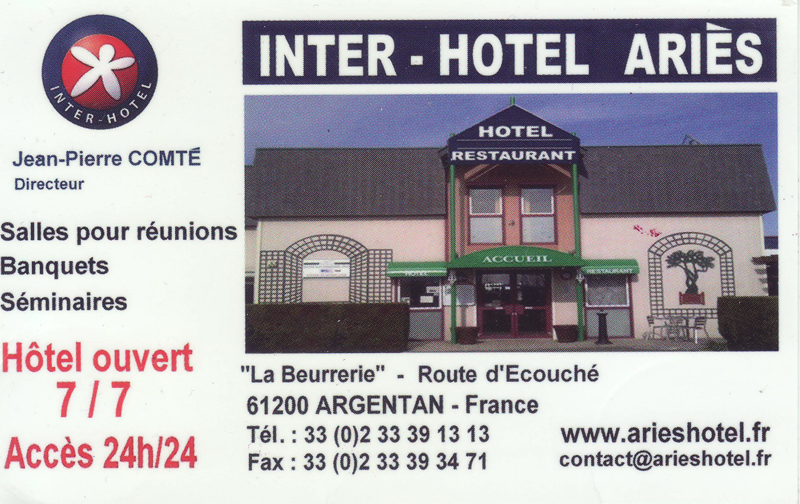 The autoroute was almost empty (as seems so often the case in France) and we made good time, arriving at our overnight stop, the Inter-Hotel Aries at Argentan at 10.40 and soon had the keys to our rooms. The only problem was that mine wouldn’t work… After one re-programme of my electronic key card and then an exchange for a brand new programmed card, I finally gained access to a fairly standard (if a little dull and ‘tired’ looking) room, where I dumped my overnight bag. We hadn’t eaten since our baguettes on the boat about seven hours ago, so we were all pretty hungry but alas it was too late to eat in the restaurant at the hotel. 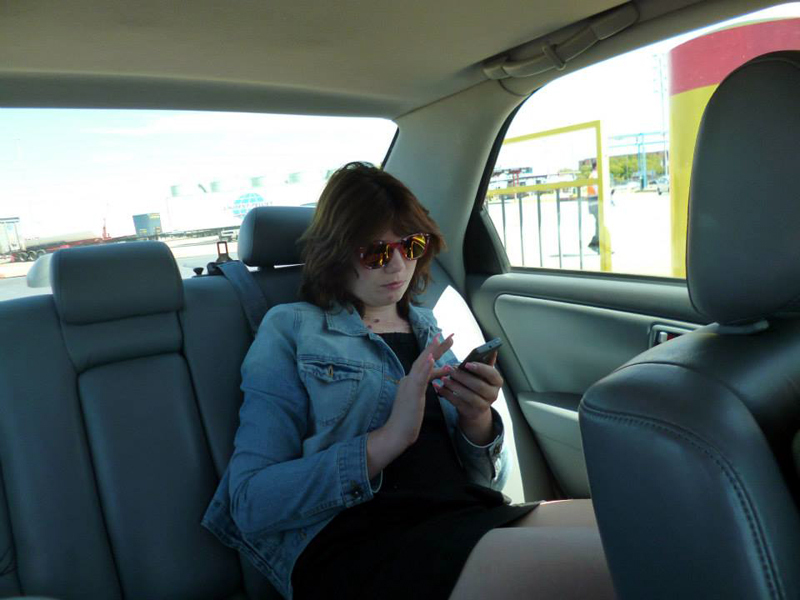 Madame indicated that our only option really was McDonalds and it was at this point that the fun began…. It was at this point that I realised that as the passenger in a right-hand drive car, I was going to have to order the food. Ten minutes later, after a tortuous interchange with the female assistant at the other end of the radio somewhere inside the building – and much to the huge amusement of my fellow travellers, the meals and drinks were ordered! We then headed out of the restaurant to try and find our way back to the hotel – only to find that it was around the next corner….. 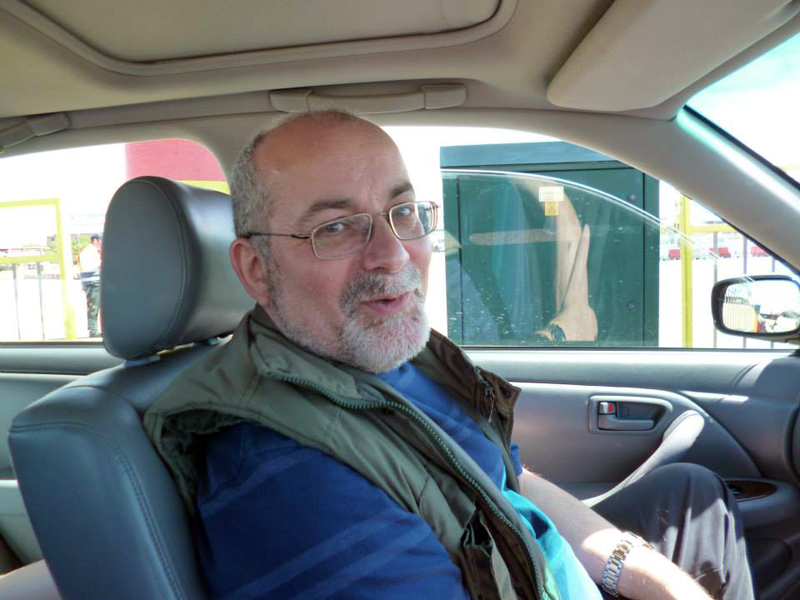 The McDonalds had been about a quarter of a mile away from the hotel – in the opposite direction…. Now whether Madame had thought to have a bit of fun with us or we had simply misinterpreted her directions, we will never know, but the story made us chuckle on a number of occasions when related to others during the week – as did my woeful French when placing the order (and all I had to order was three King Cheese meals – I never have that kind of trouble at Divine Burger!). We took our meals back to our rooms but for me, notwithstanding my hunger, I have to say it was pretty poor fare for our first meal in France – made worse for the fact that I found the burger already full of ketchup when I started eating it (I’m not a ketchup fan!). I gave up, devoured the fries and retired gracefully to bed on what was already a very warm and humid night.